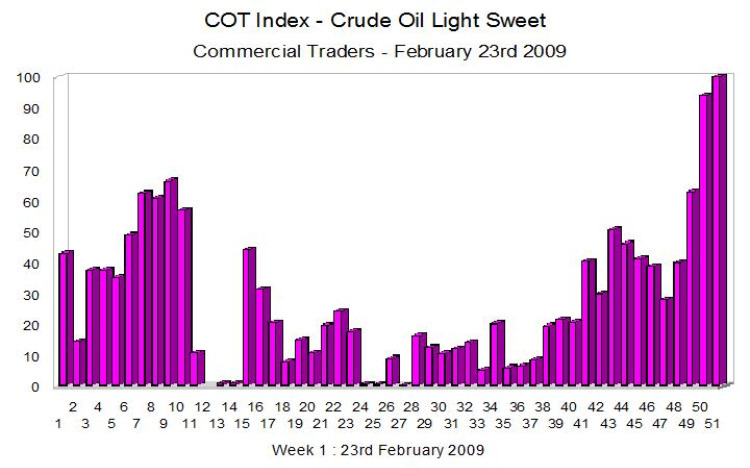 The COT index for light sweet crude oil is still very patchy with no clear trend one way or the other, so it would seem we are due for more sideways movements in daily oil prices for some time yet. The jump in data this week was probably due to the rollover contract periods as we move from one month to another. For trading oil, the chart provides little useful information in the way of future direction for us at the moment, other than to confirm the present trend as sideways.